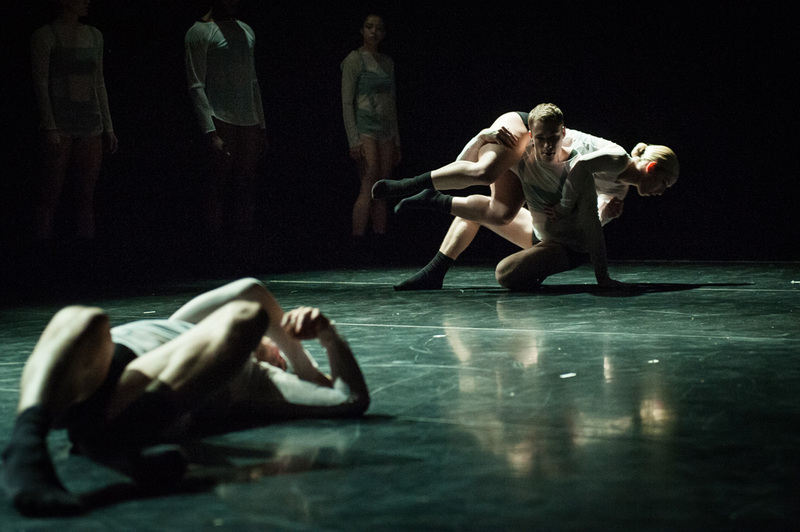 Part of Velocity’s annual festival series, Next NW 2012: REAL/TIME showcases works by local choreographers, many of whom have paired with Seattle composers and visual artists. This year’s theme focuses on experiments in change and continuity, examining both the time-based and fleeting aspects of dance as well as the “realness” of the present moment. Viewers may recognize many of the choreographers as dancers in other works around town, but Next NW will an opportunity to see them present their own vision. Choreographers include newcomers Babette McGeady, Erica Badgeley, Sarah Butler, Molly Sides, and Paris Hurley as well as the more veteran Shannon Stewart and Markeith Wiley’s group The New Animals. Visual artists include Tito Ramsey, Benjamin Marx, William Hayes, Barry Sebastian, Derek Ghormley, Jeff Huston, Adam Sekuler, and John Niekrasz. To purchase tickets, click here. Another wing of Velocity’s Next NW, this event showcases both dance and film-making. Now in its sixth year, Velocity and Northwest Film Forum pair up to present dance films made by local dancers and cinematographers. The festival provides a unique opportunity to see the art of dance on camera and its expansive possibilities. The lineup includes local artists Alice Gosti, Jacob Rosen and Kate Wallich, Molly Sides, Eric Eugene Aguilar, and Adam Sekular and Shannon Stewart among others. Tickets are available here. A triple bill featuring two world premieres, the program showcases works by Olivier Wevers, artistic director of Whim W’Him; Crispin Spaeth, a long-time Seattlechoreographer; and Donald Byrd, Spectrum’s artistic director. Read the SeattleDances review here. Tickets can be purchased here. There’s no shortage of holiday themed shows around town this weekend with everything from the Nutcracker to the Black Nativity. Too numerous to list here, check back tomorrow for a SeattleDances guide to this year’s holiday performances. To jumpstart the holiday season (and raise funds for their 2013 programming) Velocity is throwing a celebratory bash. Billed as a “kooky-queer cabaret” this isn’t your typical eggnog-sipping party. Featured performers include Alice Gosti, Maya Soto, Alicia Garcia Mullikin, and Annie McGhee and Rachel Grant as well as special performances by reigning cabaret performers Miss Kitty Baby and Miss Gay Seattle, Donna Tella Howe. Sponsored by Team Diva Real Estate and emceed by Robbie Turner this really could be the holiday party to end all holiday parties. Tickets can be purchased here. In alignment with Next NW, this conversation features internationally renowned composer Wayne Horovitz, filmmaker Adam Sekuler, and choreographer Mark Haim discussing the shaping and experiencing of time in the media of music, cinema, and dance. This is a free event. An informal conversation hosted by Velocity, the discussion will reflect on how the past manifests in the present, as well as what the future looks like in regards to the study and performance of dance. Meant as a pre-cursor to screenings of Next Dance Cinema, BOOM Noodle is just around the corner from Northwest Film Forum and the conversation might provide a new lens through which to watch the film festival. This is a free event.